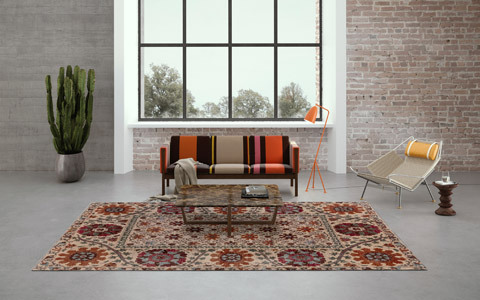 As our rug of the month October 2016, we like to present you a new model of our Sichouk Collection: The Sichouk Mamluk is a successful combination of tradition and modernity. 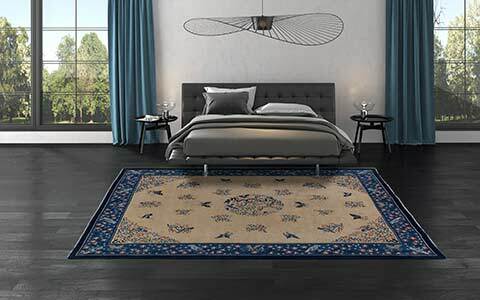 The popular, almost 700-year-old design gets a new, modern look as gentle and brilliant silk rug. 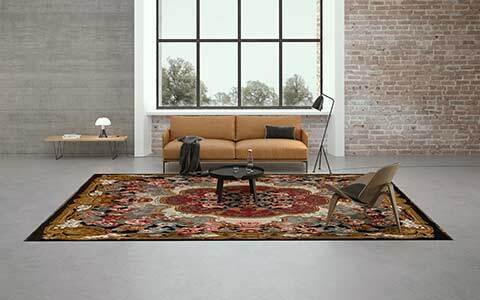 As our rug of the month August 2016, we chose a very decorative designer rug: the Tibey Liara. 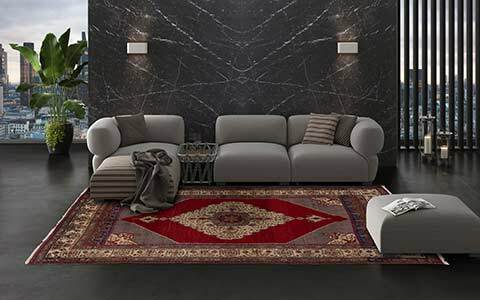 This exceptional rug has a large variety of colours and a very subtle and harmonious look. 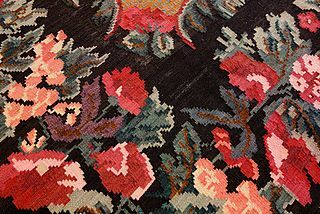 Thanks to a special knotting technique, the modern patterns and colours are placed slightly in the background of the rug. 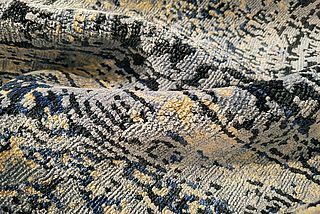 A bright rug made of 100 percent finest silk – this is Mischioff’s rug of the month June 2016. 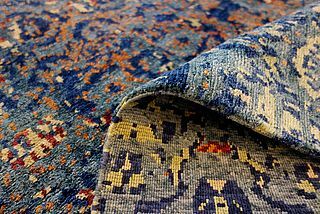 The Sichouk Karavia, which is part of the Sichouk Collection, is a highly decorative silk carpet with a unique play of colours – a wonderful eye-catcher for modern facilities! 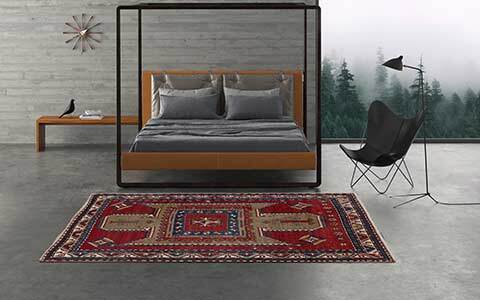 As our rug of the month in May 2016, we like to present you the Marouk MA01, made of 100 percent Himalayan highland wool. 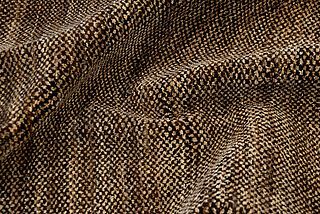 This rug is part of Mischioff’s new Marouk Collection, which is weaved a little bit coarser than other collections. 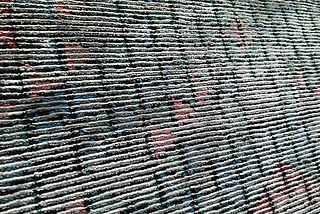 With approximately 90.000 knots per square metre, the production of these carpets is faster with a lower price than other collections. 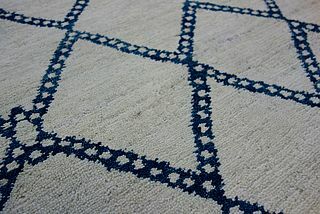 The Marouk MA01 is similar to a classic Berber carpet and combines light beige wool with motives in nice blue. The simple, graphic motifs create a modern and decorative look. In addition, the asymmetric arrangement provides a nice contrast to rather straight interiors. 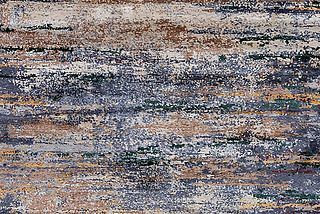 As our rug of the month in April 2016, we have chosen the Abramia AB09 – a very trendy rug thanks to its rustic appearance and the decorative patterns. 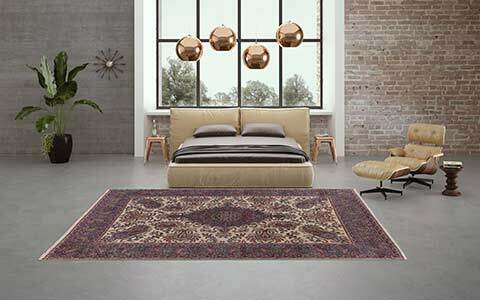 The design of this high quality rug plays with the typical asymmetrical designs of a classic Berber carpet. 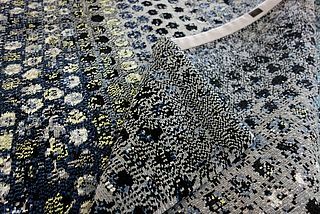 Our rug of the month April 2016 is currently available in nine different colour versions and, if desired, as well in individual, self-combinable colours. The AB09 combines a smooth light gray in the background with motifs in black, gray, white and blue – a very modern and decorative colour combination. 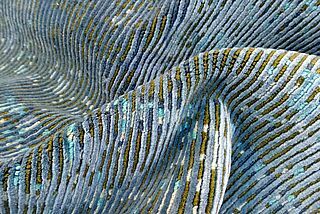 As our rug of the month March 2016 we chose an artful piece of our new Circlism collection. This collection is the implementation of a long-term idea of Mischioff director and designer Dani Misio. Inspired by his own painting, he created the unique rugs of this exclusive collection. The Circlism C07 consists of about 2,500 individual circles, which create own symmetries and arrangements. 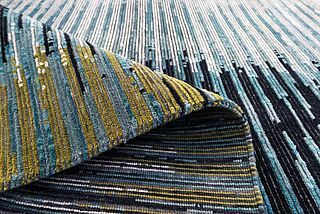 The rug combines various shades of gray, blue, yellow and beige – the composition of ten different colours provides the harmonious gradients.